A plan was underway to merge Mother’s Day and Father’s Day into one single day — Mother and Father’s Day — and Sonora Smart Dodd was all in favor of it. 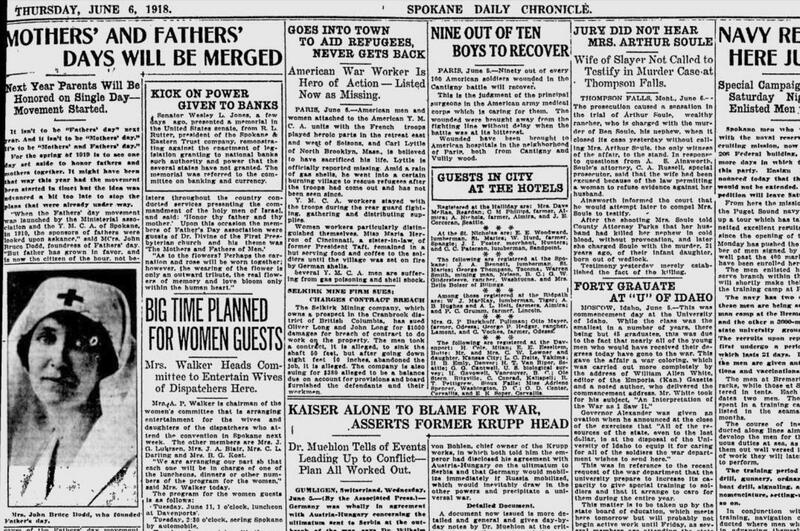 She was the Spokane woman who founded Father’s Day about eight years earlier. She said the whole point of Father’s Day was to make certain that, when the “good and great” are honored, fathers would not be forgotten. The merged Mother’s and Father’s Day was planned for the next year, 1919. However, this was an idea that ultimately failed to take hold. Parents retained their special, and separate, days.